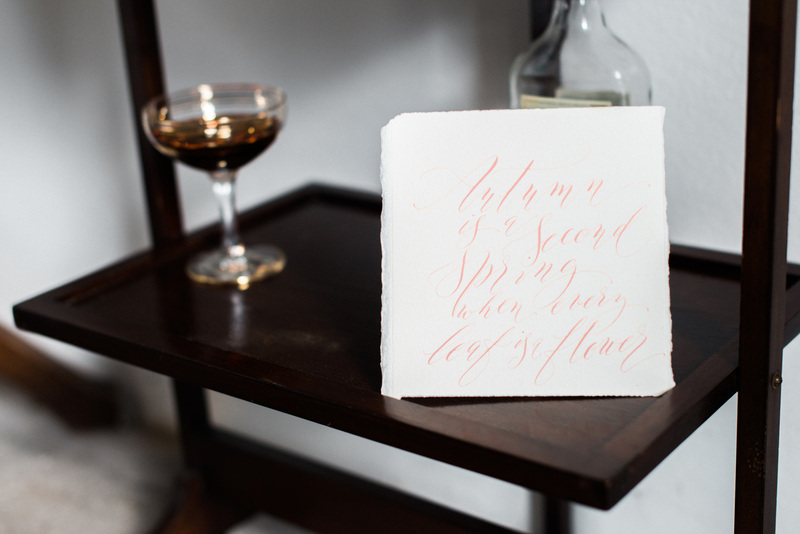 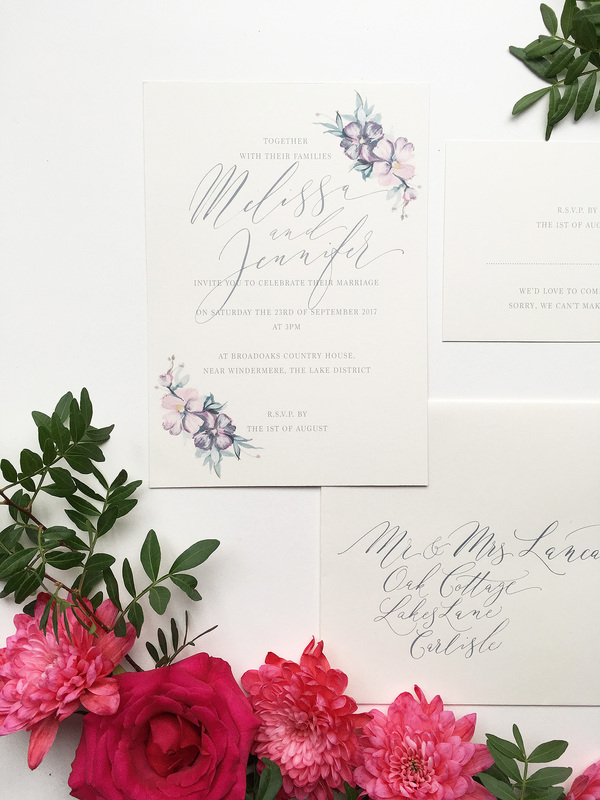 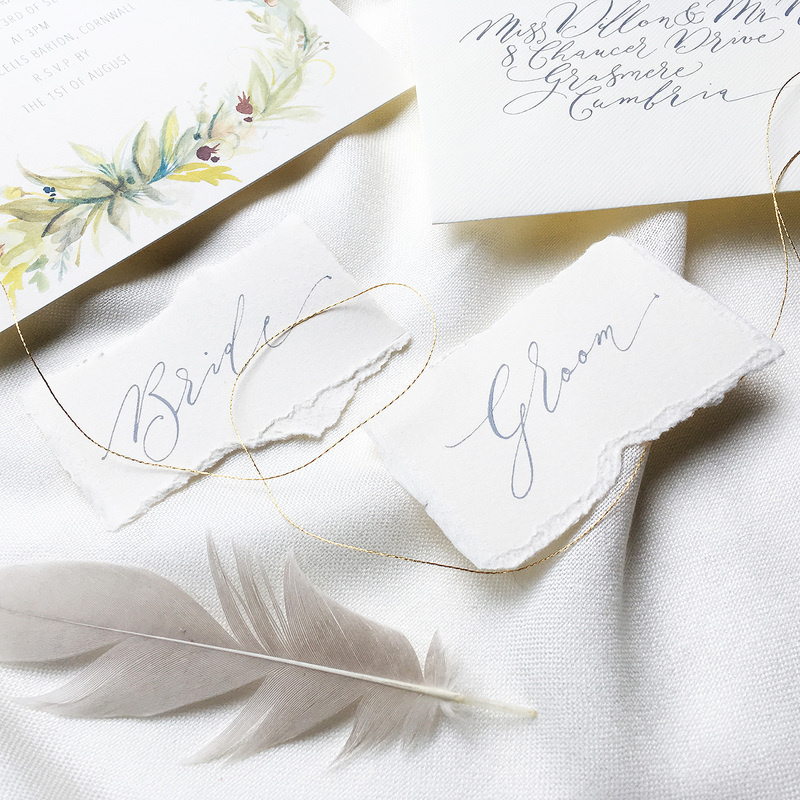 A hint of floral love; a twist and swirl of wonderful organic calligraphy – Secret Garden is an invitation for the romantics out there; a hint towards the beauty of your upcoming wedding and a wonderful keepsake to remember your day by. 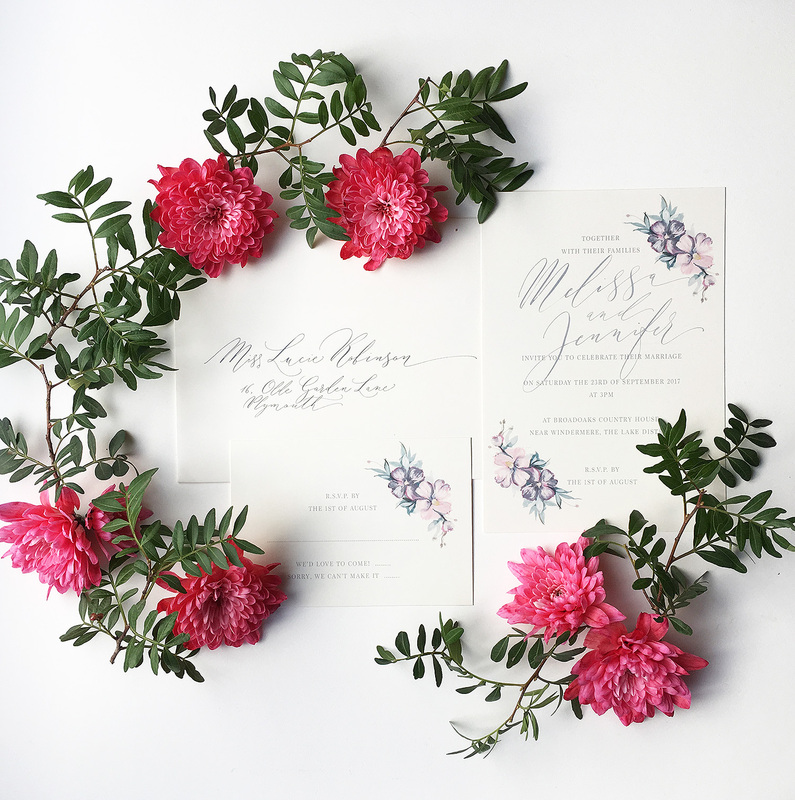 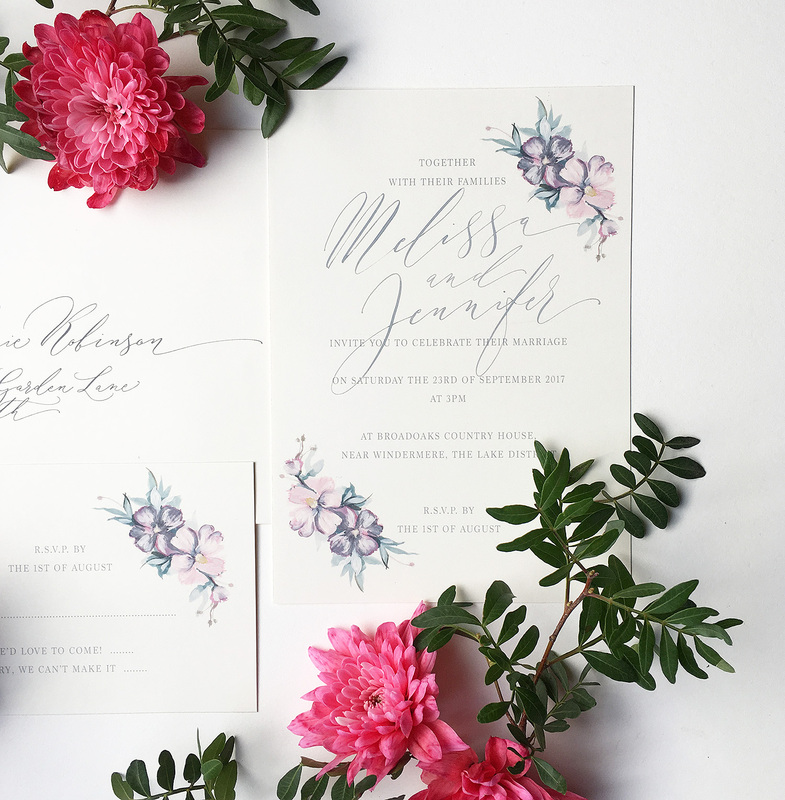 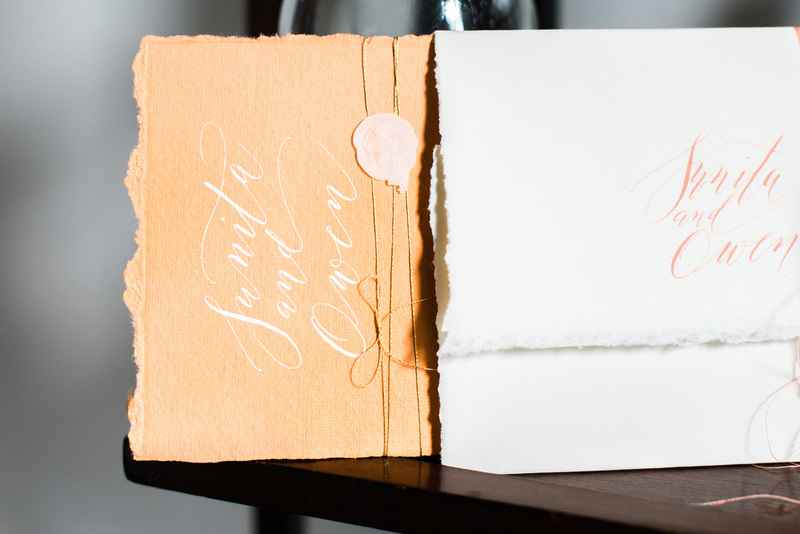 Two pretty blooms adorn this illustrated wedding invitation which features handwritten calligraphy of your names and a matching RSVP card. 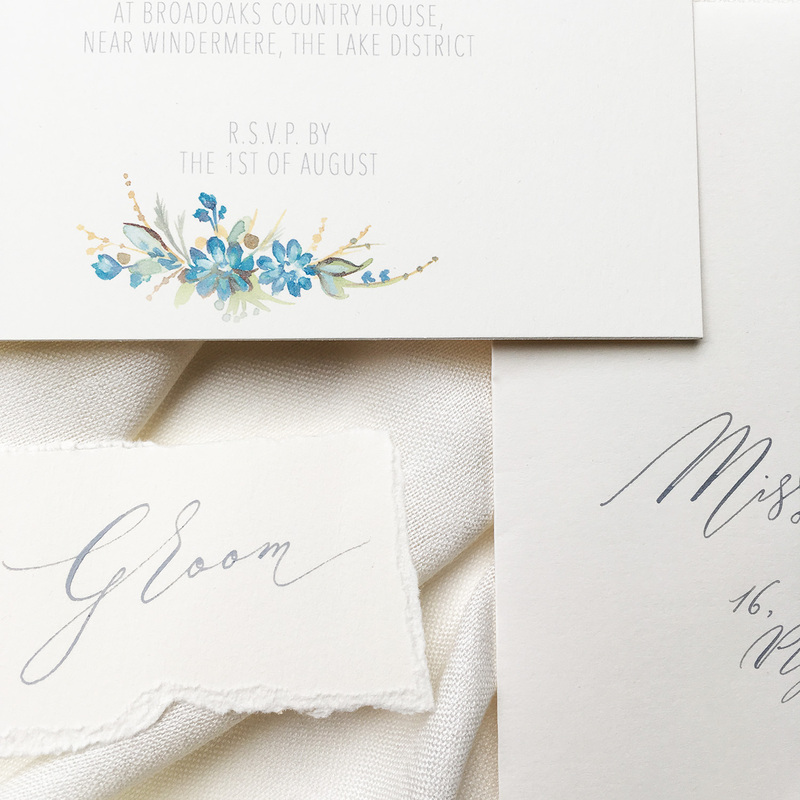 Amy Swann’s delicately painted florals are guaranteed to delight your guests; this pretty invitation will set the scene for your flower-filled wedding celebration. 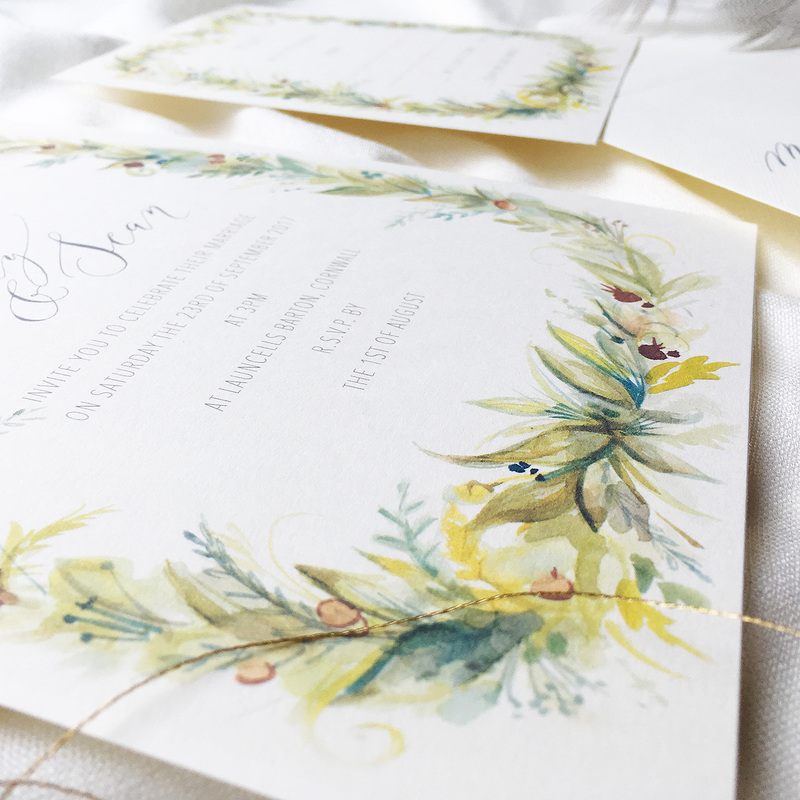 The enchanting Secret Garden wedding invitation is available in my online shop from today, and prices start from £2.50 per invitation. 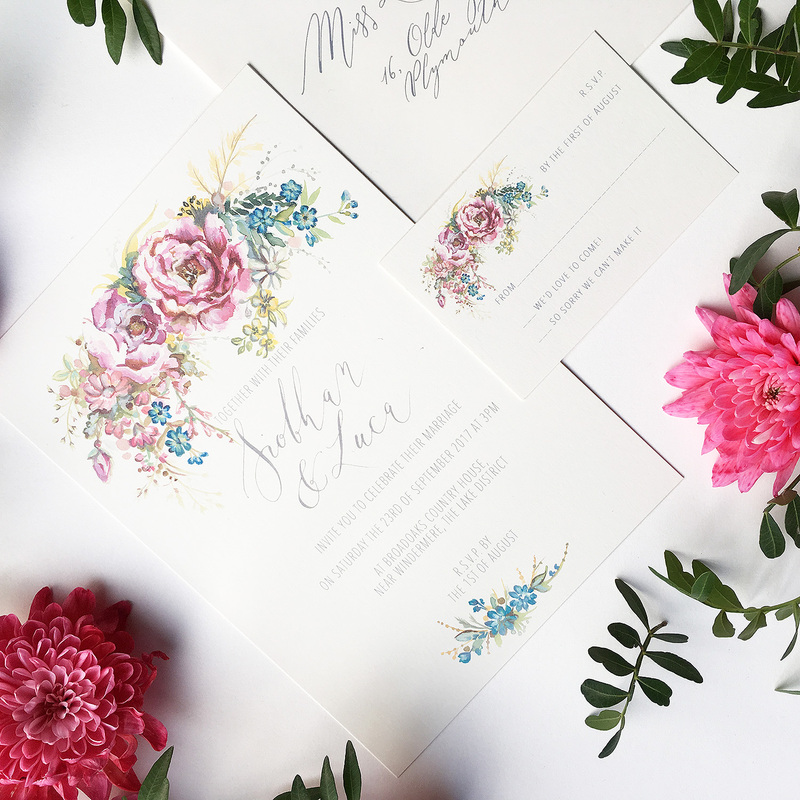 English country gardens are at their very, very best in the summer months; it’s no wonder we’ve fallen head over heels in love with peonies as a wedding theme. 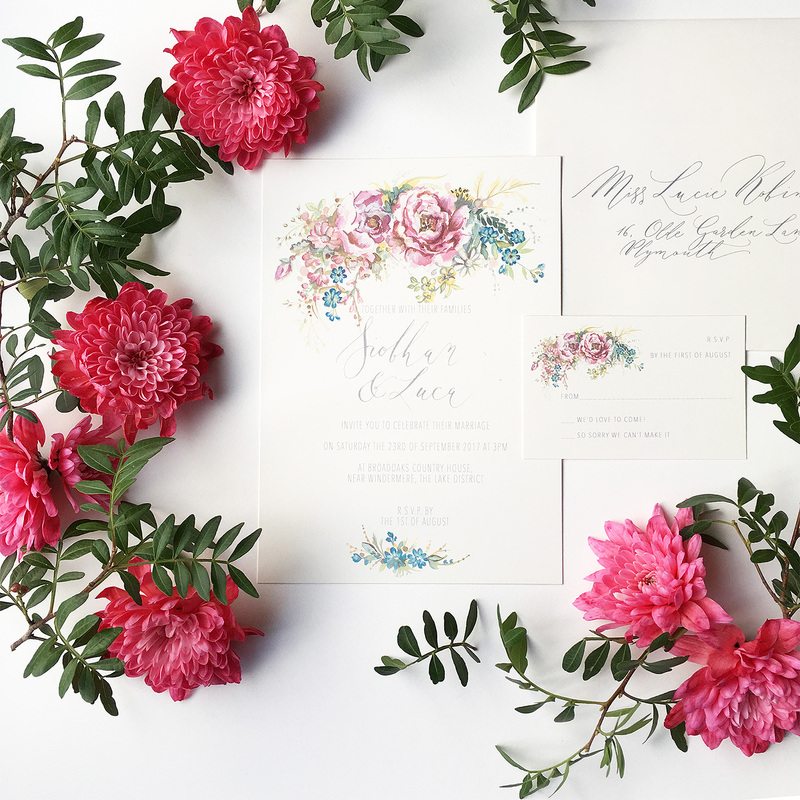 Stunning colours and delicious fragrance inspire our lives as well as being the inspiration for this Classic Peony wedding invitation. 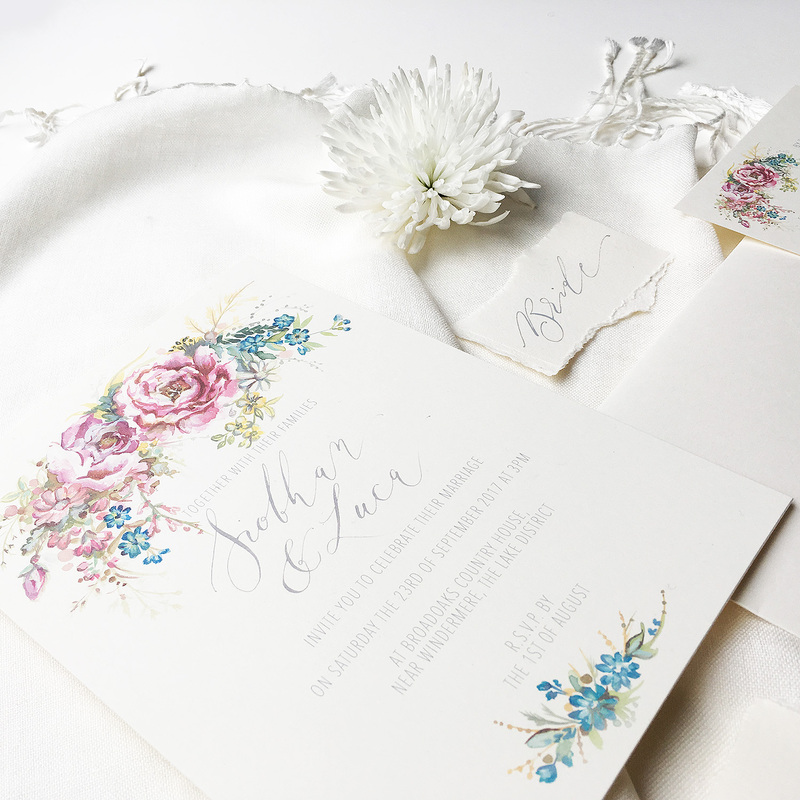 Reminiscent of classic English folk art with bold florals, stunning colour and soft accents, Amy Swann’s illustration will set the scene beautifully for any summer wedding. 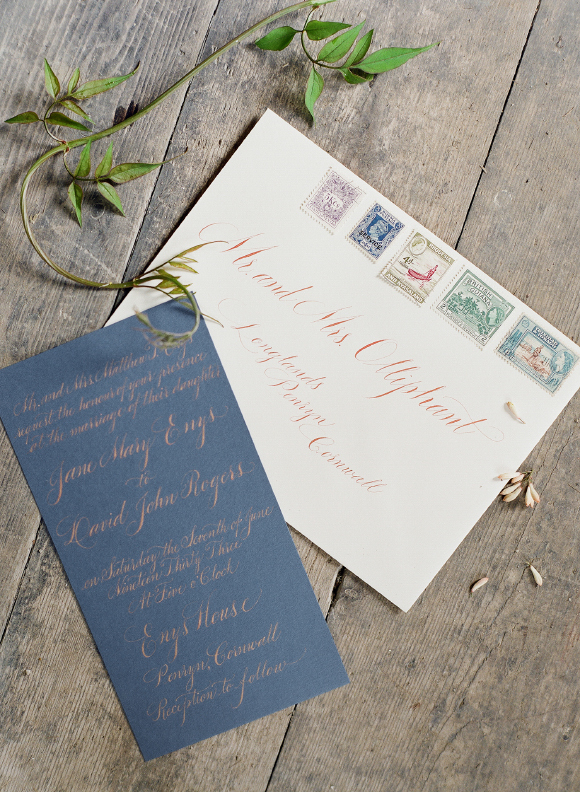 With touches of handwritten calligraphy, the Classic Peony is an invitation full of luxe florals, combining statement blooms with delicate grasses and country garden flowers glowing in evening sunshine. 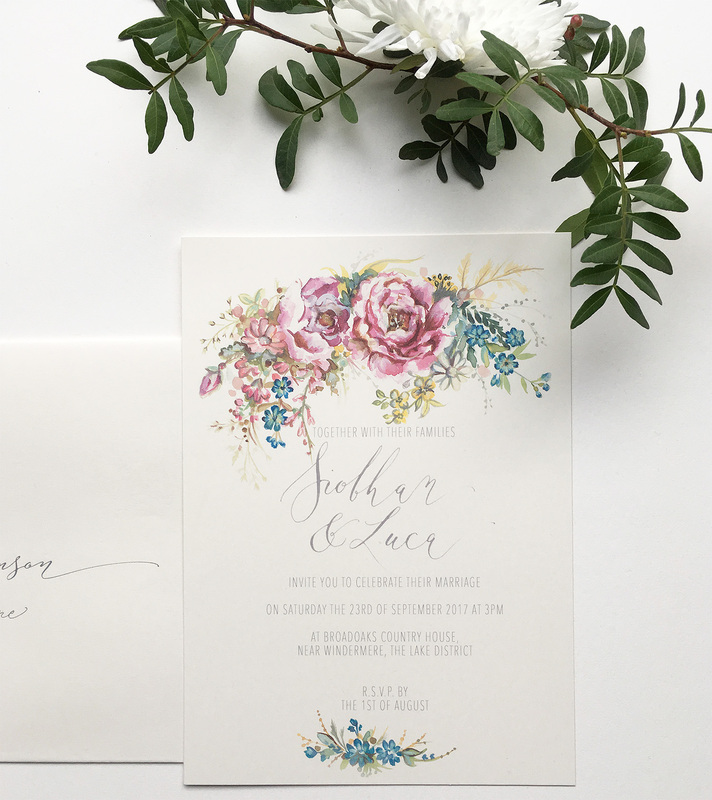 From the Wild & Painterly wedding invitation collection. 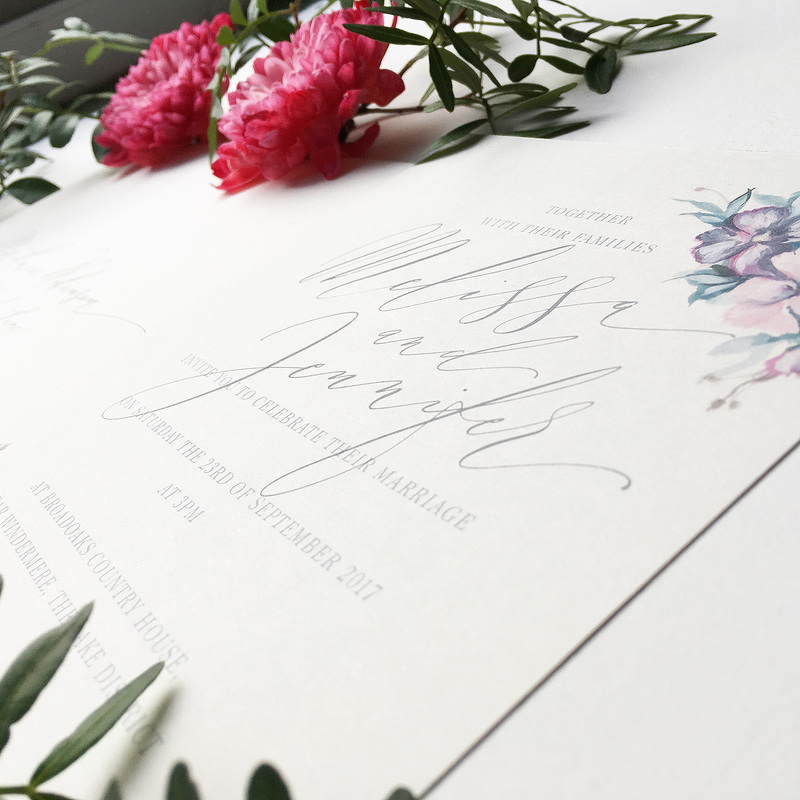 The beautiful Classic Peony wedding invitation is available in my online shop from today, and prices start from £2.50 per invitation. 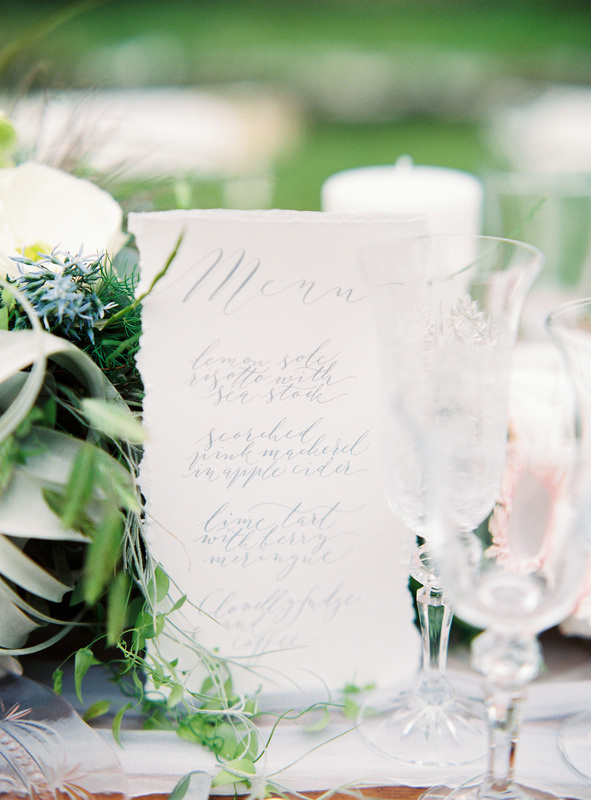 We adore greenery. 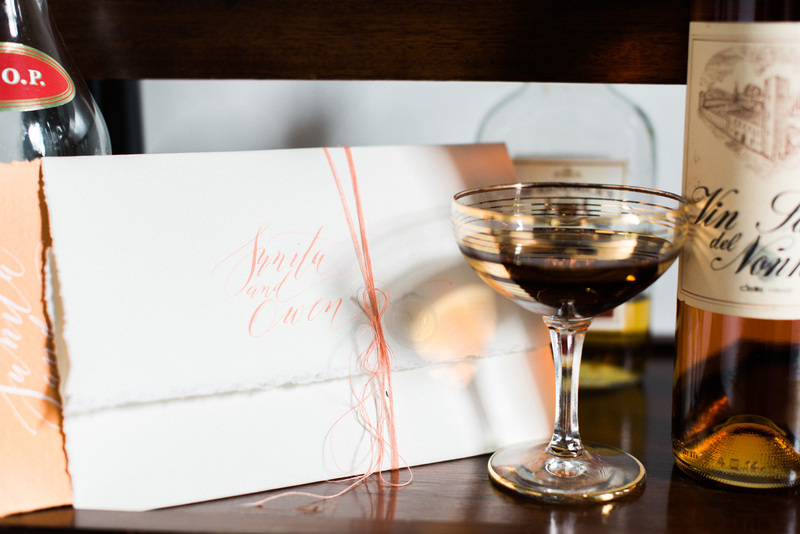 It’s not a Pantone thing; we just always have. 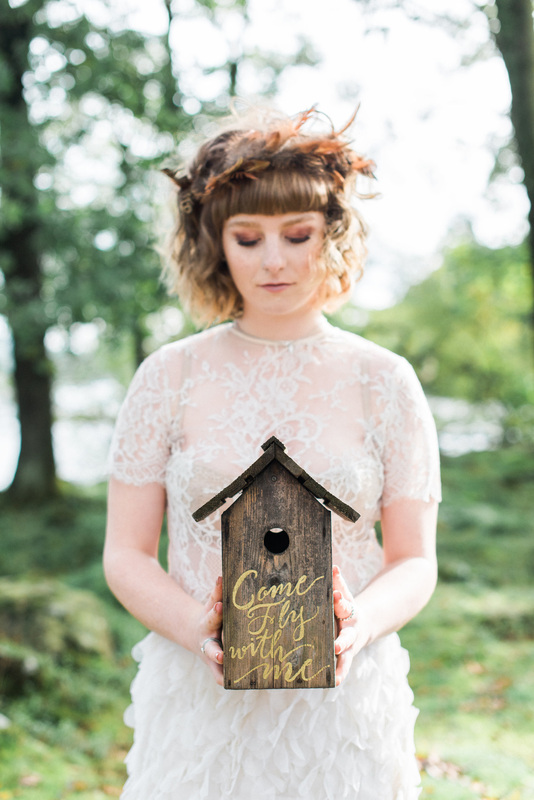 Woodlands, wild meadows, country hedgerows and pretty clearings are where our hearts feel at home. 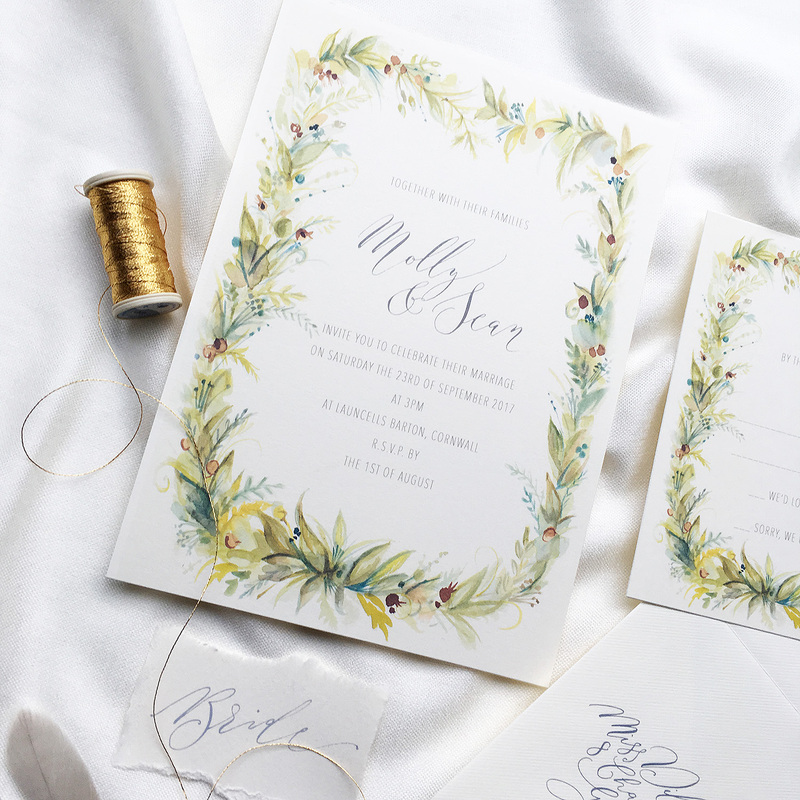 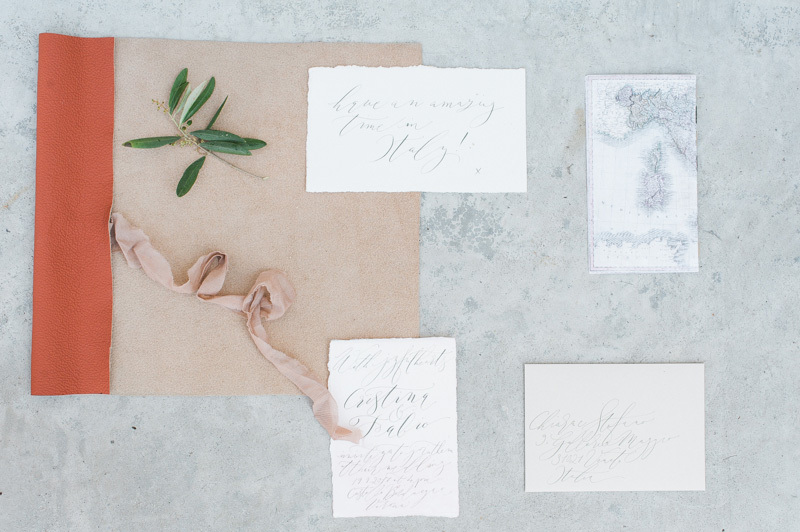 Surround yourselves with delicate greenery with a natural, earthy twist – and set the scene for your perfect wedding with the stunning Wild Meadow calligraphy invitation, illustrated beautifully by Amy Swann. 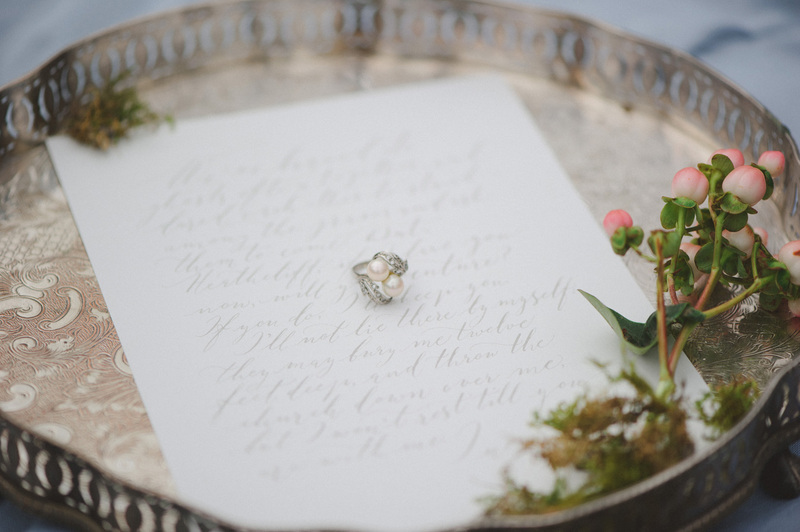 The lush greenery is perfectly on trend for 2017 weddings, with soft, earthy greens and springs of leaves and grasses in complimentary colours. 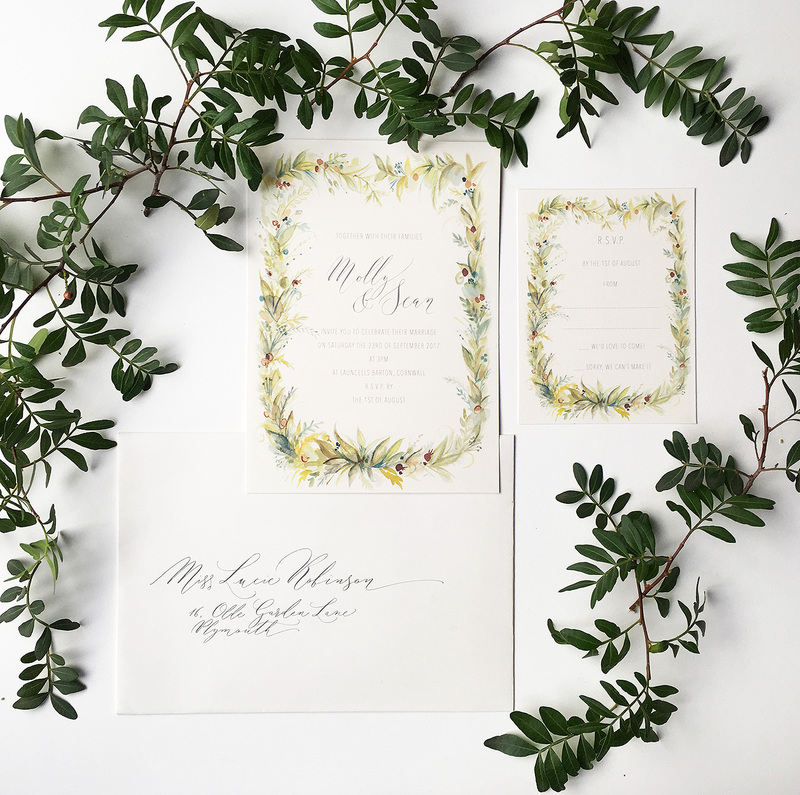 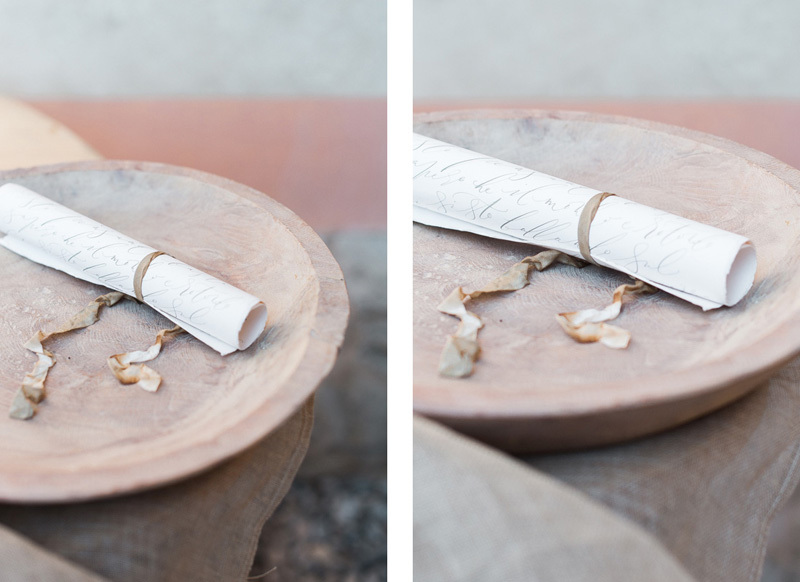 With foliage being a key wedding trend for this year, the subtle colours of this wonderfully natural invitation are the loveliest way to set the scene for your day. 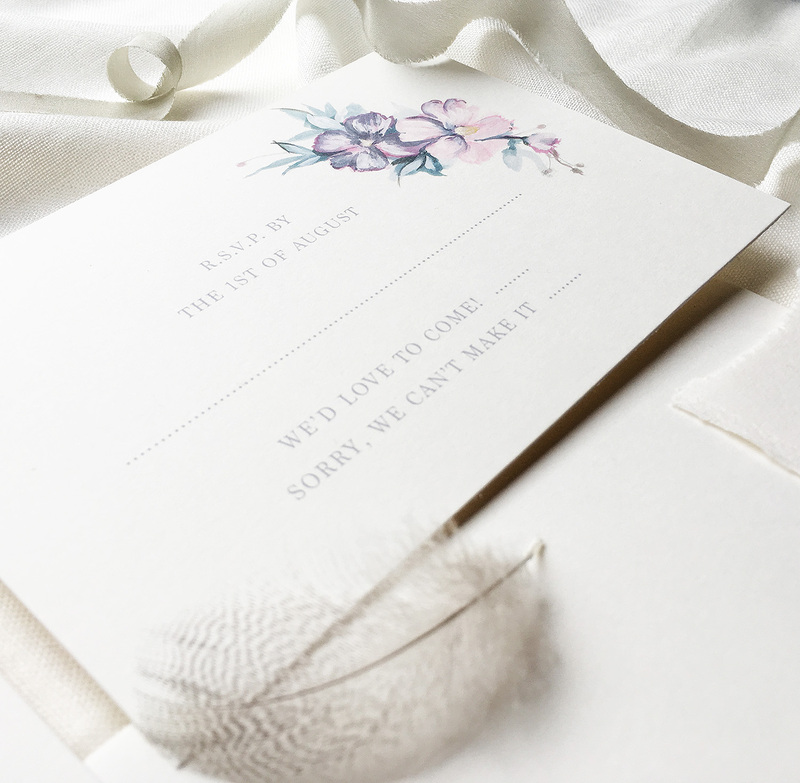 The beautiful Wild Meadow wedding invitation is available in my online shop from today, and prices start from £2.50 per invitation. 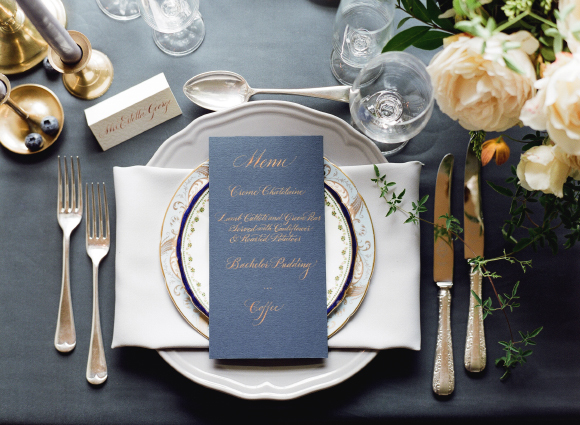 Purest luxury. 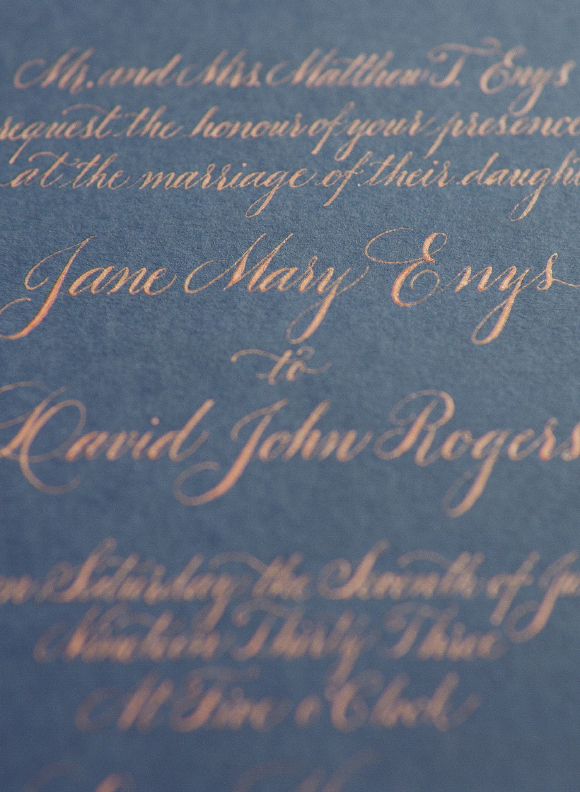 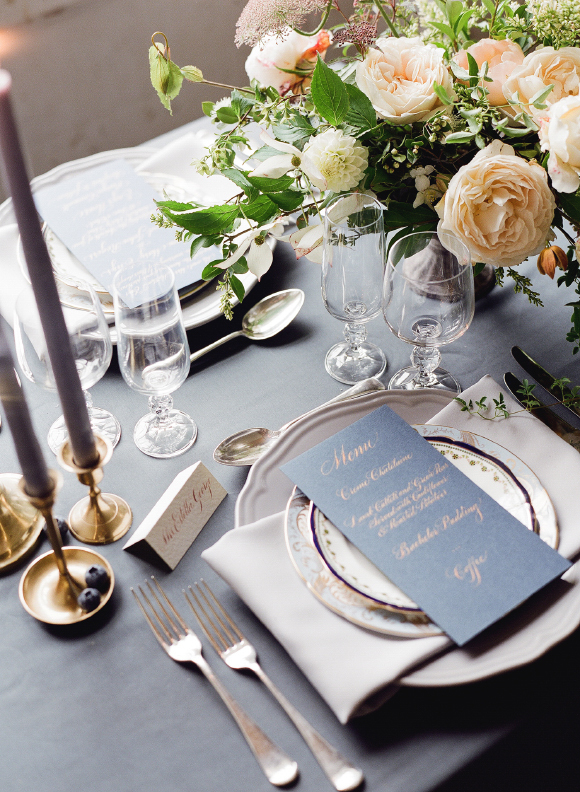 Navy cardstock and gold lettering in a timeless, elegant style. 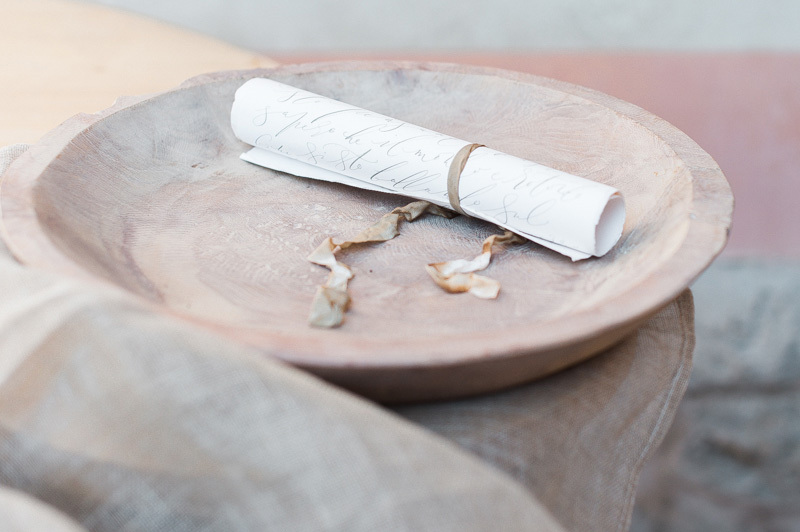 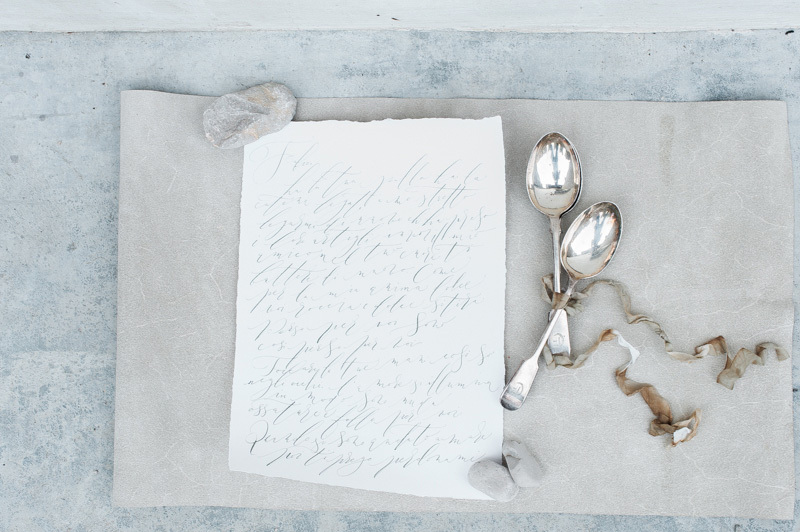 Photography: fine art film photography by Taylor & Porter | Styling: Tebbey & Co.
Italian luxe art papers with soft ink tones and an organic, flowing calligraphy style. 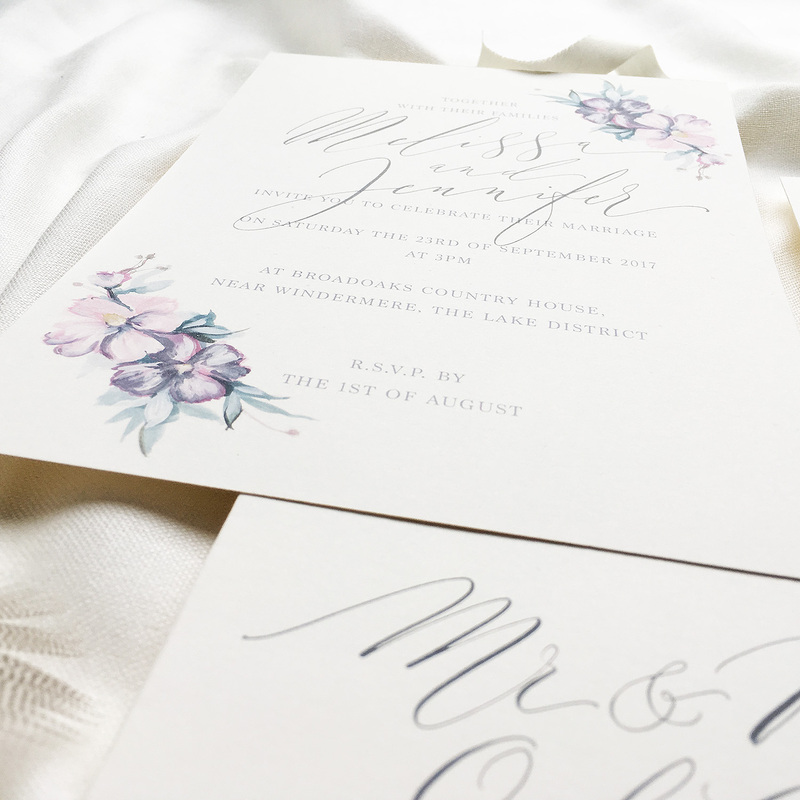 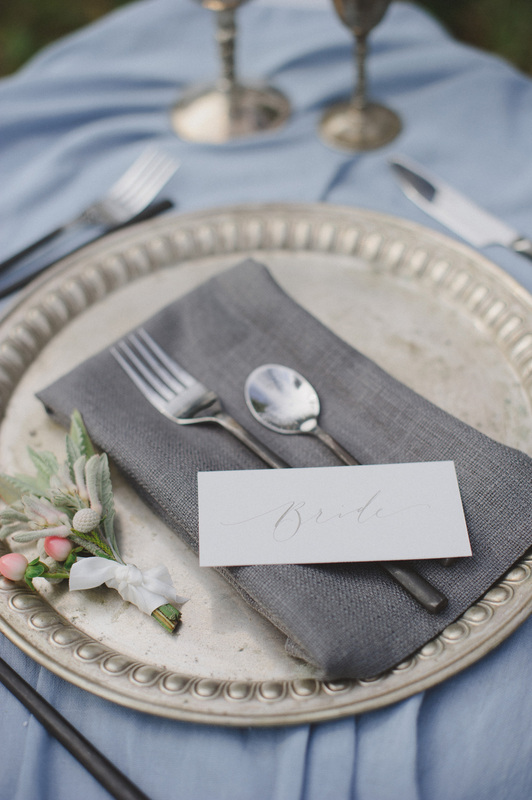 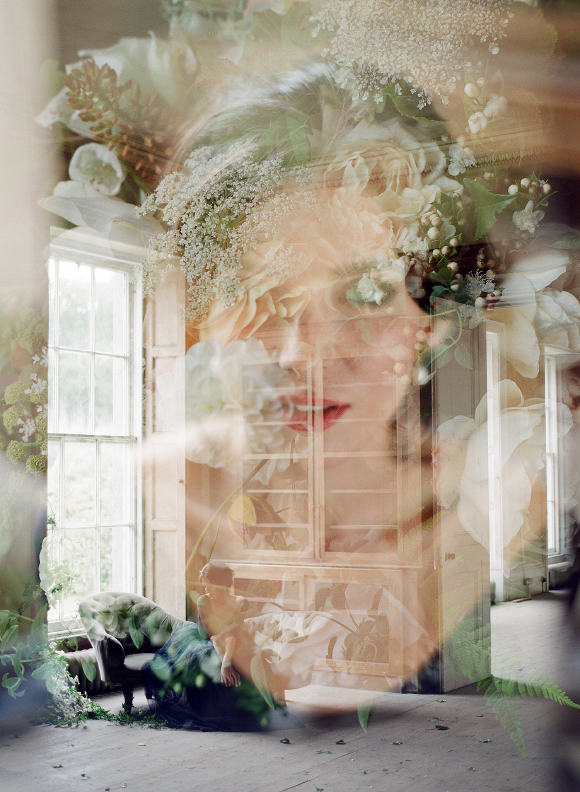 Featured on the English Wedding Blog. 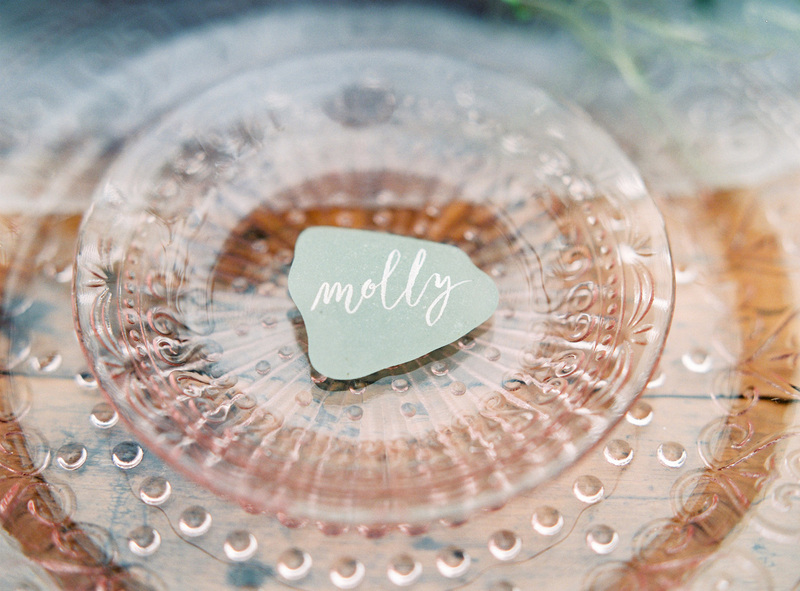 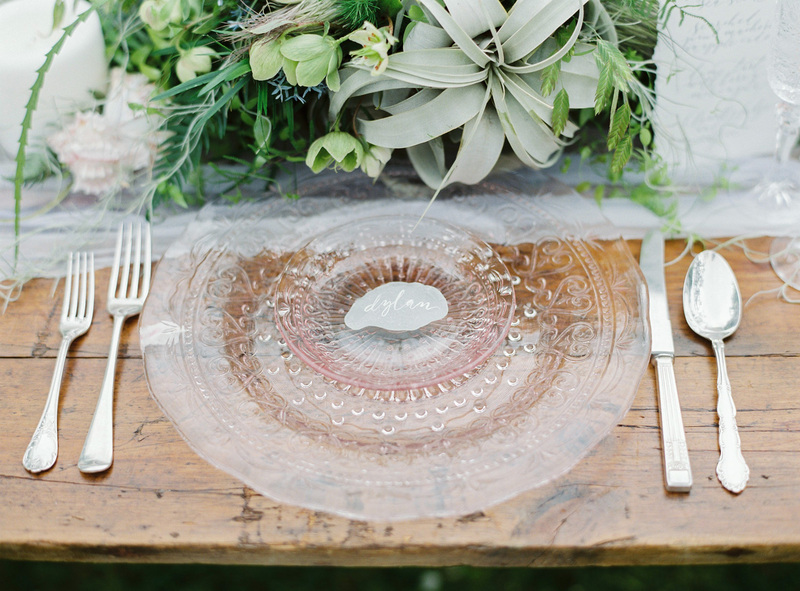 Dreams of the sea in Clovelly Village – beautifully curated wedding style with sea glass and succulents, as featured on Style Me Pretty and the fabulous Love My Dress wedding blog. 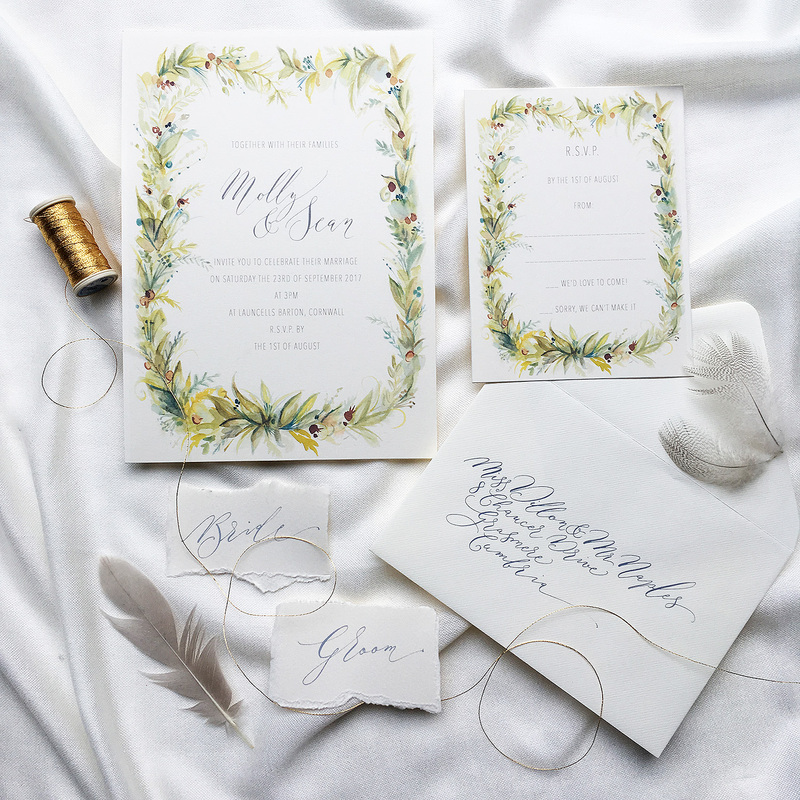 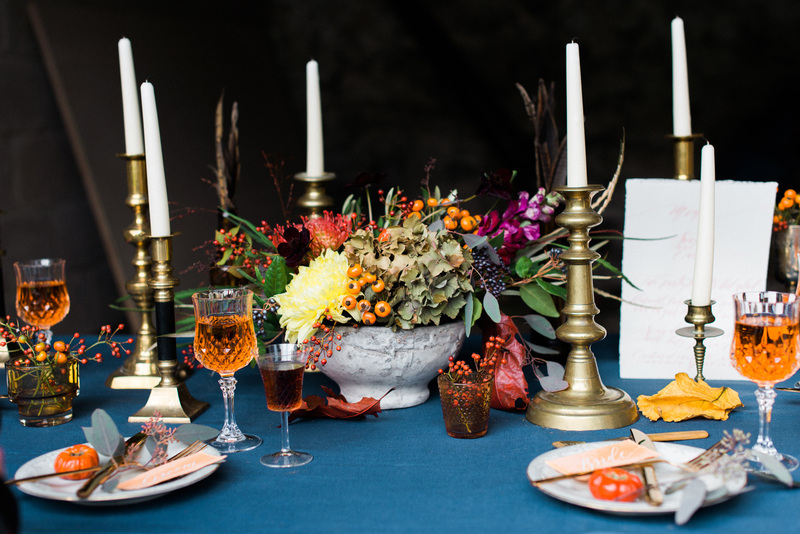 Vibrant autumnal colours; handmade papers with delicate gold thread and organic white and pale orange lettering; a statement bouquet with feathers and exciting, warm and welcoming decor.